Working with its collaborators, Artios has set out to identify and exploit novel protein classes across DDR pathways. Artios has in-licensed two lead programmes from CRT, which target proteins that control key aspects of DNA repair and other cellular processes. Mechanistically, these programmes have the ability to kill cancer cells as single agents, or to sensitise cancer cells to radiotherapy and other DNA-damaging agents, including novel treatments, such as PARP inhibitors or immunotherapies. DNA polymerase theta (Polθ) is involved in multiple processes associated with DNA repair. It is a critical component of the Polθ alt-EJ pathway; the micro-homology mediated end joining (MMEJ) DNA repair pathway involved in double-strand break repair. Polθ expression is low in normal tissues but it is up-regulated in a number of tumour types such as breast, ovarian, HNSCC and lung. As such, Polθ inhibitors have the potential to be used in a broad range of clinical settings, specifically HR-deficient tumours such as breast and ovarian cancer, or in combination with DNA-damaging agents – chemotherapy and radiotherapy. Our goal is to develop this programme through to the clinic, with a first-in-human clinical study targeted in 2019/20. Our second in-licensed programme targets a protein which has been identified as a novel DNA damage response target. It is recruited to sites of DNA damage, where it is required for lesion accessibility and to facilitate DNA repair. It is frequently over-expressed in multiple tumour types, giving an opportunity for the product to be used in a broad range of clinical settings. Artios is collaborating with Masaryk University in the Czech Republic on the development of novel cancer treatments targeting DNA nucleases involved in the DDR. DNA nucleases are key enzymes responsible for processing strands of DNA following damage. Present in all cell types, nucleases are one of the first enzyme mediators recruited to the site of DNA damage in cells and play crucial roles in various DNA repair pathways ensuring stability of the genome. Artios believes that nuclease inhibitors could have broad potential as selective treatments for a range of cancers, particularly in tumours that have defects in their DNA repair processes and are reliant on alternative DDR pathways which are mediated by nucleases. The opportunity may also exist to use nuclease inhibitors in combination with other cancer therapies, including standard of care treatments such as ionizing radiation, and potentially together with emerging therapies such as immuno-oncology treatments. 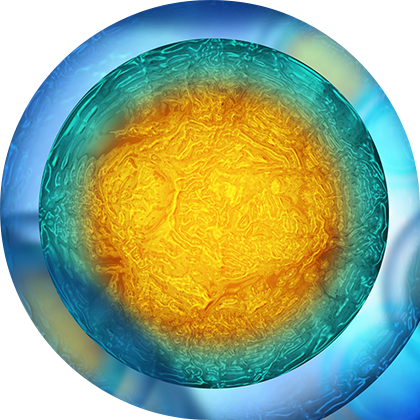 Cellular DNA undergoes a lot of damage every day, leading to various types of damage events, including single strand breaks, cross linked lesions, mismatched base pairs, or double strand chromosomal breaks. DNA damage can be caused by many different external cytotoxic agents or intra-cellular processes that lead to free radical generation. 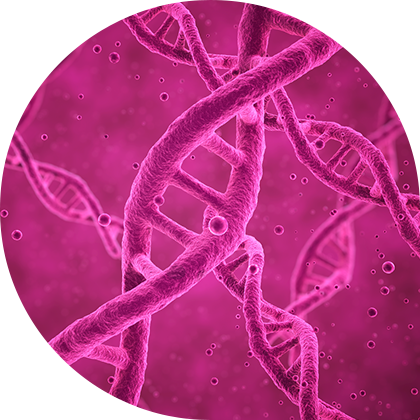 Once DNA becomes damaged or has lesions created, a process known as the DNA Damage Response (DDR) takes place to repair the DNA or instruct the cell to die. DNA repair processes have evolved to be very effective at repairing the different types of damage. DDR is a highly regulated cascade of enzymes and proteins that identify when damage happens and, importantly, the type of DNA damage that occurs. If the cascade cannot recover the DNA, the cell may voluntarily kill itself through a process called apoptosis. When DNA damage and mutations occur in genes and/or enzymes that have a key role in vital cell processes, it leads to the development of genetic diseases such as cancer. One of the hallmarks of cancer and tumorigenesis is the down-regulation or loss of certain DNA repair pathways, which drives the mutational phenotype of cancer cell transformation. No cells, including cancer cells, can survive without DNA repair. Cancer cells have a tendency to modulate their DNA repair processes in order to make themselves more mutational or unstable. This can occur either at the beginning of the cells transformation, through germ-line mutations, or at a later point in the cancer’s development, where genes are modified through somatic mutations. While changes in a cancer cell’s DNA repair processes are part of its development into more advanced disease, they can also become its Achilles heel. This is a conceptual idea known as ‘synthetic lethality’. In cancers where DNA repair pathways are modified and not functioning correctly, the cancer can become much more reliant on the alternative DNA repair processes that it retains in order to survive. By identifying inhibitors to these retained DNA repair pathways and treating the cancers that are reliant on them the cancer can be selectively killed, while normal cells and tissues are not. Current DDR inhibitors in the clinic only target a small proportion of proteins involved in DNA repair. Cancer mutational transformations that drive evolution can lead to treatment resistance, where the cell adapts to rely on another alternative repair pathways. This kind of resistance can occur against many different DDR proteins. As such, there are many other potential targets still to be identified that could have significant impact on treating cancers in the future – both through single-agent and combination approaches. Artios has set out to identify and exploit novel protein classes across DDR pathways. PolƟ and the company’s second, and as yet undisclosed lead programme, represent two DDR targets that control key aspects of DNA repair. Mechanistically, these programmes have the ability to kill cancer cells as single-agents, or to sensitise cancer cells to radiotherapy and other DNA-damaging agents, including novel treatments, such as PARP inhibitors or immunotherapies. Artios set out to identify and exploit novel protein classes across the DDR pathways. PolƟ and the company’s second and as yet undisclosed lead programme, represent two DDR targets that control key aspects of DNA repair. Mechanistically, these programmes have the ability to kill cancer cells as single agents, or to sensitise cancer cells to radiotherapy and other DNA-damaging agents, including novel treatments, such as PARP inhibitors or immunotherapies.